The obvious soundtrack choice would have been anything by MC Hammer, so that’s what I went with “I Ain’t No Joke” by Eric B. and Rakim. 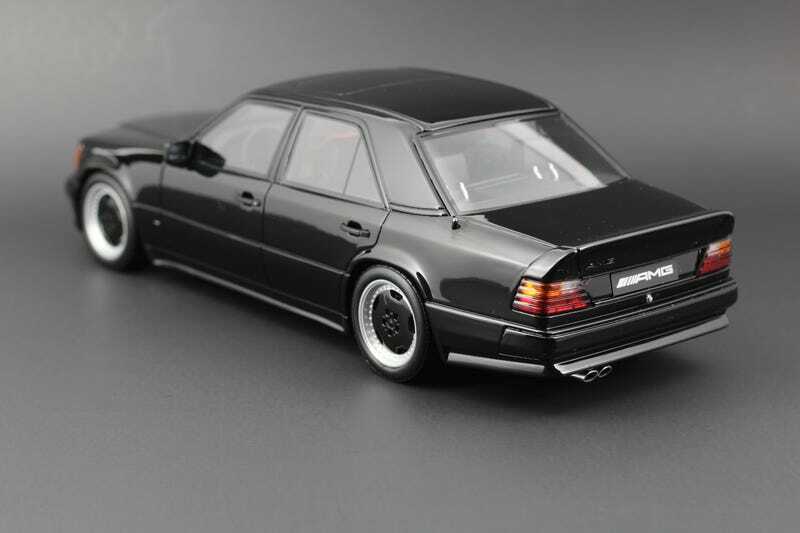 This is Ottomobile’s model of the W124 blessed by everyone’s favorite tuner: AMG. They did this car back before they were a part of Mercedes-Benz, too. That’s why you won’t find the three-point star anywhere on the hood. Apparently AMG dropped the 5.6L engine into the Hammer before it was even approved by MB. AMG also gave the car the looks to back up its impressive performance. Body color matched grille, wheels, and a deck lid spoiler. It was all the car needed to let you know that you weren’t next to just another stock broker in an ordinary Mercedes-Benz at the stop light. Androoo has the rarer silver version of Otto’s 300E, but I think a Hammer fits the “any color you want, as long as its black” motif. I scored this one during a sale on Replicarz during March for a few cents under $70. Otto’s done a good number of these old school AMG models and I got sick of sitting with the ebay app open watching their prices go up and up. Plus, I think the sedan looks better than the coupe... fight me!